(File photo) Clara Fronabarger tallied a hat trick with three goals in Republic's win at Neosho. Clara Fronabarger’s scoring spree continued for the Lady Tigers at Neosho Tuesday in a 5-1 conference win. Fronabarger scored three goals and assisted on another to lead Republic. 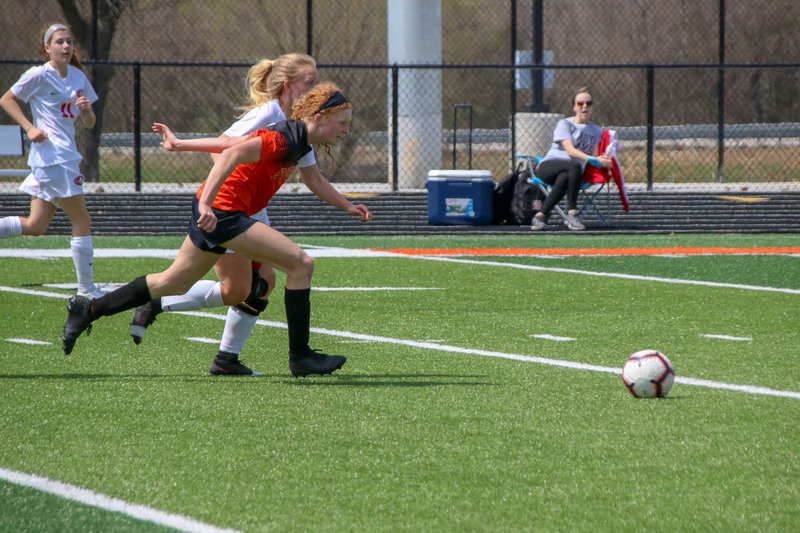 Anna Jones scored two goals of her own, and Jaiden Gibbs added an assist for the Lady Tigers, who improved to 7-3 overall. They’re 1-0 in the Central Ozark Conference. Fronabarger has scored 11 goals in Republic’s last five games. She has 18 goals overall in ten games. The JV got two goals from Cameron Gardner in a 2-2 tie. The Lady Tigers travel to Carl Junction Thursday. Clara Fronabarger scored three goals and added an assist as she continued to dominate from the forward position. She has 18 goals in Republic’s first ten matches, and she’s our Farr Better Player of the Game.